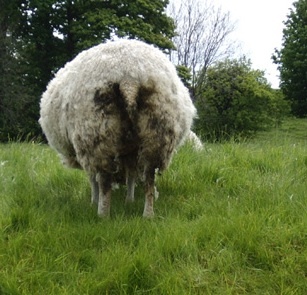 According to the UK Telegraph, New Zealand scientists have developed a "flatulence inoculation" aimed at cutting down on the massive amount of methane produced by its sheep and cows. Why should we care (other than the fact that this is the most hilarious headline I've ever written in a blog post!)? Methane is a potent greenhouse gas, 21-times more powerful than carbon dioxide, and emissions from the world's several billion livestock animals are a major contributor to global greenhouse gas emissions, a fact we can't ignore as we work to build a climate friendly, prosperous future. According to a report from the Food and Agriculture Organisation, livestock are responsible for 18% of global greenhouse gas emissions from human activities, more than cars, planes and all other forms of transport put together. Of those emissions, a considerable portion comes from methane emissions from enteric fermentation - aka farts and belches! In fact, livestock flatulence and manure is responsible for a full 1/3rd of global emissions of methane due to human activities. A single adult cow can produce 175-240 pounds (80-110 kgs) of methane annually, according to this handy US EPA FAQ on Cow Farts. That's more than my body weight in farts! (Quite a bit more, thank you very much...). In New Zealand, cows and sheep are believed to be responsible for more than half of the country's greenhouse gases. The 45 million sheep and 10 million cattle roaming those Middle Earthian lands burped and farted about 90 percent of the country's methane emissions, according to government figures. In comparison, livestock are responsible for about two per cent of the United States's greenhouse gas emissions, according to the US Environmental Protection Agency, a smaller, but still noticeable portion of the national emissions footprint. On a global scale though, and for major pastoral grazing nations and regions, innovations in managing the emissions from agriculture are critical. As New Zealand's case illustrates, in nations with dominant agricultural industries, technological breakthroughs like this fart vaccine may be the most significant innovations on their path to a climate friendly, prosperous future. That's a fact that hasn't been lost on scientists in New Zealand, who have apparently been working around-the-clock to reduce emissions from agriculture, such as changing the way fertilisers are used on pasture land. Phil Goff, New Zealand's trade minister, told an Organisation for Economic Co-Operation and Development (OECD) in Paris yesterday that a solution - at least to the pesky flatulance problem was in sight. "Our agricultural research organisation just last week was able to map the genome ... that causes methane in ruminant animals and we believe we can vaccinate against" flatulent emissions, Mr Goff said. This post is cross-posted from the Breakthrough Generation blog. Thanks for passing that breaking news, Jesse.